Check out these Apple and Android apps that will let you get more results from your social networking efforts for less. It is pretty safe to say that anyone who has a good number of followers isn’t only entertaining and interesting, but is also an expert in Twitter management. If you want to make the most out of your Twitter account, you need to master the art of gathering followers, engaging people, and sharing tweets online. Whether you own a pastry shop or manage a printer dealership business, you need to have the right tools to help you manage and grow your Twitter profile. Find the Buffer browser extension and then install it in your computer. Turn your Facebook and Twitter streams into your social media dashboard. The buffer button will appear whenever you want to, including the Facebook share, retweet, and tweet buttons. The Buffer extension also re-shares photos from your Facebook account. A standout feature from Buffer is that it lets you share a tweet to different Twitter usernames. One of the most popular Twitter tools that can help you create a powerful impact on your followers is Twylah. With Twylah, you can now make personal brand pages for your tweets. 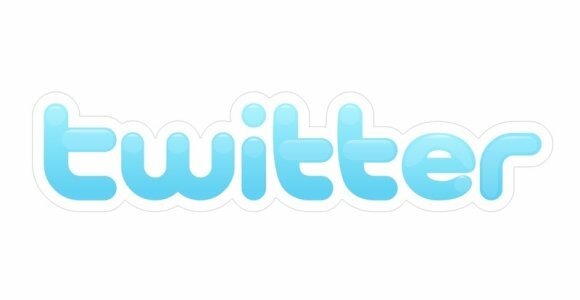 According to research, the usual Twitter links only last for three hours. But with Twylah, you can make your tweets last longer and have it displayed on a custom web page. Twylah lets you send “Power Tweets” that appear like blog posts. According to the makers of Twyllah, user engagement time with this app increases by a factor of forty, since these tweets are being surrounded with short text snippets and other relevant content. InboxQ is an easy to use extension that lets you answer questions that are related to your niche on Twitter. For instance, you can have a filter for questions with the words ‘laser printer’, ‘wireless printers’, or ‘colour laser printer’. You can then identify and answer these questions, and at the same time connect with users who are interested in your niche. As an added bonus, InboxQ lets you save questions as your ‘to do’ at a later time. The app also lets you browse through the questions you have answered to ensure that you answered them right. Do you want to curate posts for Facebook fans and Twitter followers? Mr. Reader is a popular iPad RSS reading app that lets you access Google Reader feeds and browse using this nice app. You can also use Buffer from Mr.Reader and then share to your various social networking profiles. If you have slipped away from RSS feeds, Mr. Reader is a good reason to go back. A crucial ingredient to efficient tweeting is to know when your best times to tweet are. TweetWhen is a comprehensive and simplified tool that lets you do this important function. In a matter of seconds, this app will crunch the numbers of your previous 1,000 tweets and give you really valuable insights. The app lets you identify which times of the day should you tweet and even the best days for tweeting. TweetWhen also features a great slideshow while your data is being processed, helping you learn more about strategic tweeting.